Hey! I found some 4e in my 5e! I was getting on alright reading the Basics with a biscuit and a cup of tea; I even had a smile on my face. Snerk. Take it you’re not a fan then mate? This is a first level Paladin ‘spell’ btw. I’m too much of a simple soul I’m afraid. 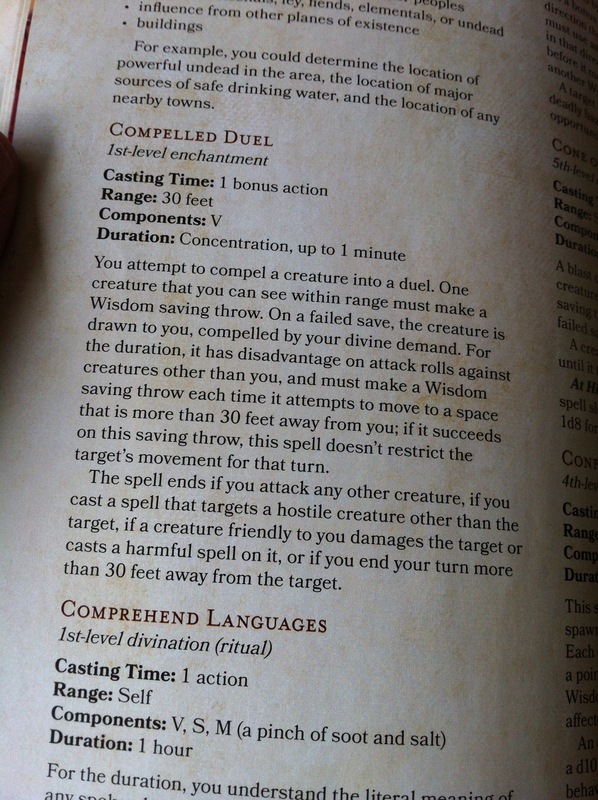 Once it gets past one clause on the overall purpose of the spell/rule they’ve lost me. Up to “..and must make a Wisdom Saving Throw”, I was on board.